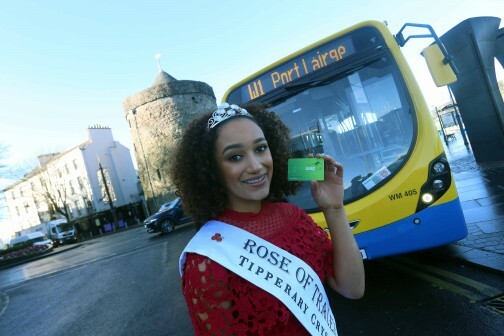 Waterford Rose of Tralee and winner of the 2018 International Rose of Tralee, Kirsten Mate Maher, today launched a €1 Leap Card promotional single fare on Bus Éireann’s Waterford city services and Route 360 (Waterford-Tramore), commencing Sunday, 27 January until Saturday, 2 March 2019. All cash fares will remain the same. Bus Éireann, in conjunction with the National Transport Authority (NTA), recently introduced an enhanced Waterford city network which has, so far, resulted in an increase of customer numbers by over 35%.